So today is the last day of our Blog Hop and we saved our Christmas trees for last. 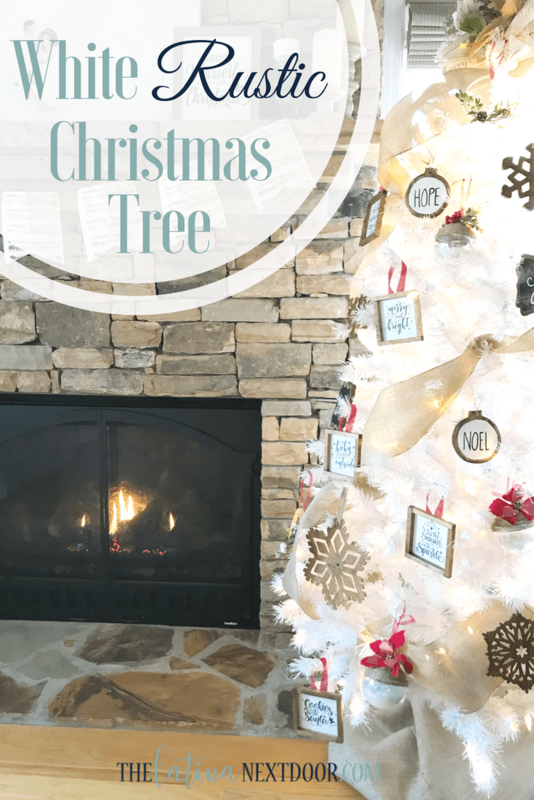 You should have already seen my Rustic Chic Christmas tree and my Simple Gold Christmas tree which I did for 2 other blog hops this season. 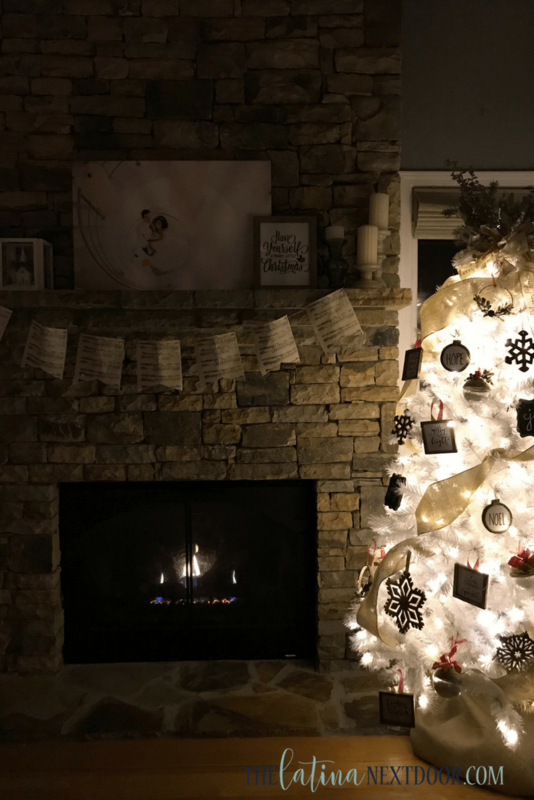 Now for this post, I will be showing you my third and white christmas tree. This tree is smaller and was provided by Treetopia during my Christmas in July campaign. And since I have a second fire place in this house I thought I would go ahead and put this one up as well. 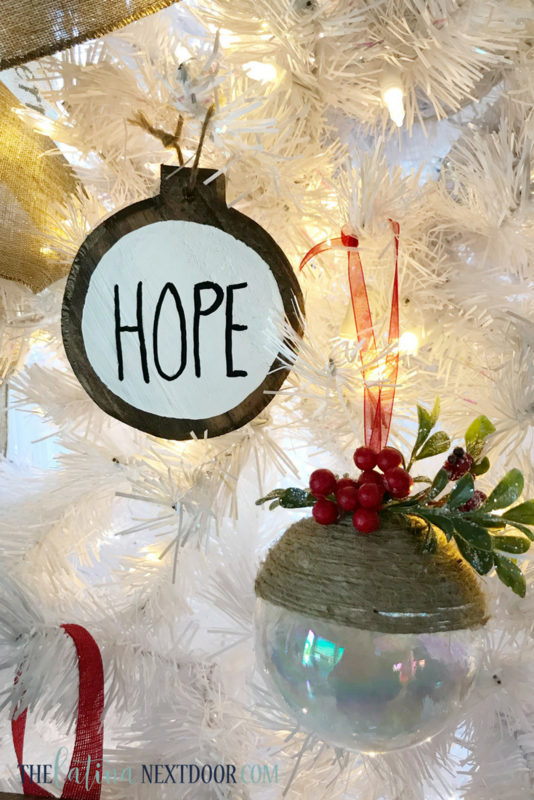 Since I had been working on several DIY farmhouse style ornaments this year, I thought I would decorate this tree with just my DIY ornaments. I did this Rae Dunn inspired one below along with a jute wrapped & mistletoe glass ornament. 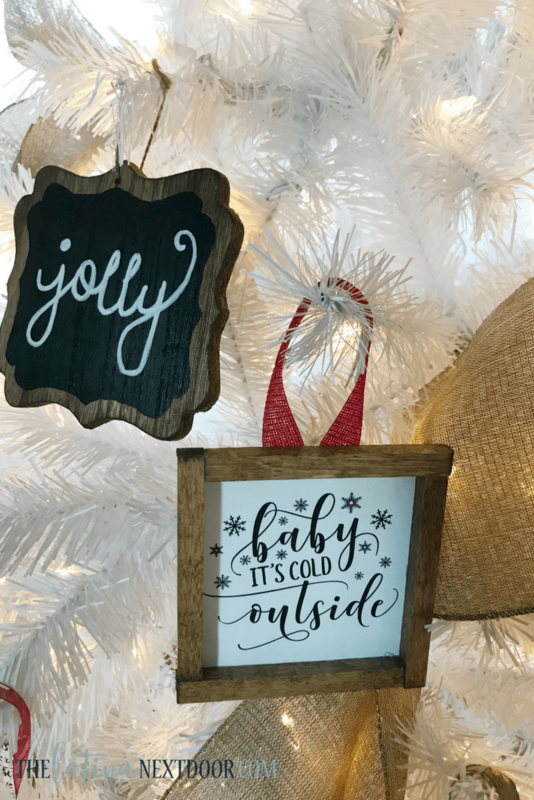 I added these cute chalkboard and mini wood signs as well. You can see the video tutorial to make all of these here. And created a topper with a couple of floral bushes and ribbon. And I added burlap ribbon throughout the tree and then added burlap fabric around the bottom of the tree. Here is how it looks at night. 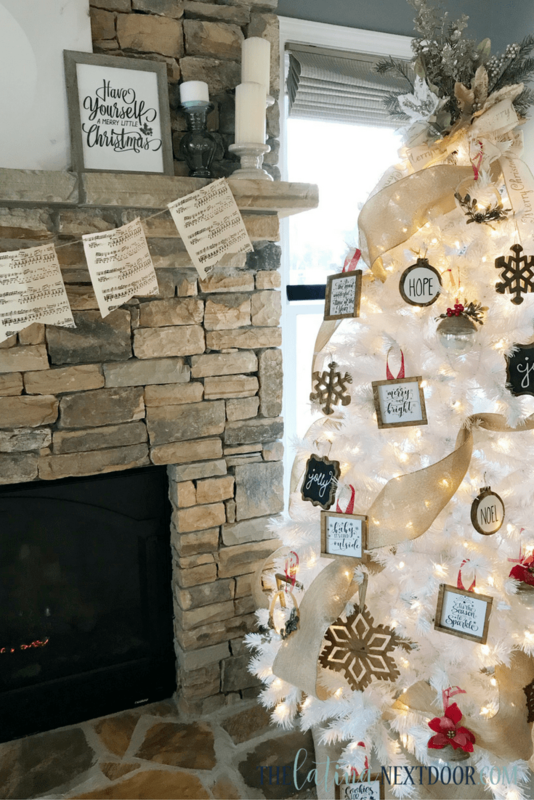 I hope you like this super simple and white rustic Christmas tree. It does, and thank you very much! 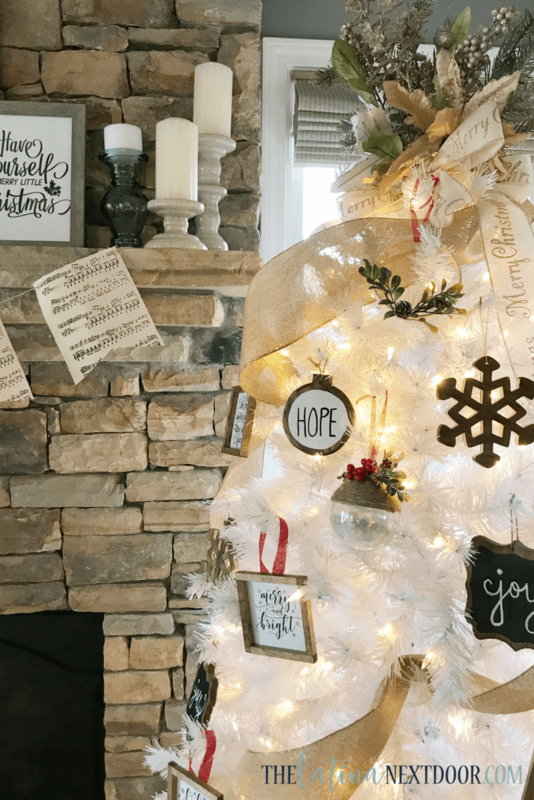 This is beautiful and there are those awesome ornaments! Very lovely.